Twerking appeared in the 80s and it’s a dance where dancers are shaking and thrusting their hips in a sexually provocative (or just funny) manner. If you are interested in twerking, you either like doing it or watching it. Many people think that twerking is hot, in fact, it’s not always true, but at least it’s really fun and it’s useful to stay in shape. As many people are into twerking for some reason, you can find many apps for Android and iOS connected to this type of dance, some of them are quite useful, some are funny, and some others are complete nonsense. So, let’s take a look at the best apps for your devices we’ve managed to find. 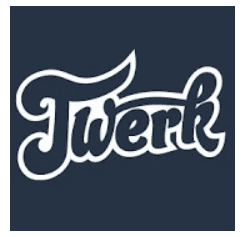 The best app for twerking, both useful and fun, is Twerk Meter. Are you sure you are good at twerking? Here is a challenge for you. For how long and how fast can you twerk? Check it with this app for Android and iOS. All you need is to start a new game and put your smartphone in your hip pocket and then twerk to the left and to the right and thrust, the app will count how many time you are able to do it. You can also challenge your friends and see who is better at twerking. Speed challenge is also available. You are guaranteed to have fun and exercise your body. This game is for the true twerking fans! You love twerking but too shy or tired to twerk yourself? It is a rhythm-based game where you make a character twerk. You choose your character from many possible and twerk your way to the top! Each character has his or her special moves and voice, so you won’t get bored from twerking. Many different locations are also available. As you progress, you take new levels with unique music and pacing. If you are not sure how to waste your time, with this game, be sure you will spend it with fun. The game goes for both platforms. Ok, we are slowly going deeper into the world of nonsense. This crazy app for iPhone and iPad will make you and all your friends twerk. Take a photo of yourself, your friend, kid, pet, or boss, put it on your the body of your twerking character (there are really many of them) and make a video you and your friends will never forget. You can choose a song as well. Even if you are the most serious person in the world, this game will make you smile and cheer you up. Don’t you think that life is a little bit easier if you are able to laugh at yourself? If crazy twerk games are not for you and you are looking for a really hot twerking app, you may like this one. It is a library of the hottest twerk videos (yes, they are all from YouTube, but who cares?). With this app, you will always enjoy cute girls twerking to any kind of music. The app is updated every week with new videos, so just enjoy! Maybe you don’t like watching young ladies twerking, you are a hot girl (or a hot boy) and want to master at twerking yourself? If so, this app is for you. 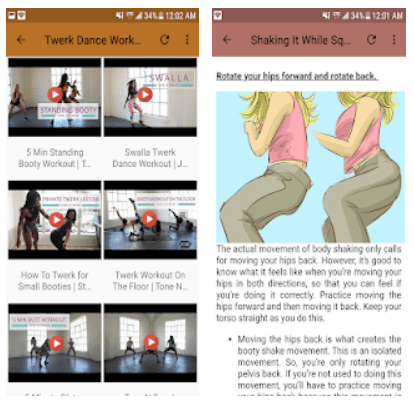 There you can find anything for your twerking practice, from video lessons to useful articles on how to organize your training and do the exercises correctly. What’s more, the app provides you with the news from the twerking world about all the competitions and battles that take place. Another app for Android which will be useful for those who learn how to twerk and those who loves watching twerking ladies. Twerk Dance provides you with videos of different kinds, from tutorials and step-by-step lessons to performances of professionals. Yes, it is exactly what you think. It’s a twerk simulator for those who can’t get enough twerking in their lives! Control your character’s (male or female) hips, shake them and get… coins. Yes, in this game you need coins to beat your record. You are gonna love this game because it is the opposite of adequate but still fun. The game has very realistic hip’s graphics and a good choice of twerking music. The game is extremely addictive, you won’t believe until you try it. Still, don’t have enough rave in your life? Don’t worry, we have one more twerking and coin collecting game for you. But this time the coins are 8-bit. And the music is 8-bit as well (it is still fine for twerking). Haven’t you dreamt about it for the whole life? Be prepared, this game and the previous one are quite disk space consuming. But who cares when there are twerking girls in your gadget!? This app is a collection of all kinds of twerk videos from YouTube and similar services. The videos are arranged according to the rating, you can add some videos to your favorite and block those which you don’t like. New videos are added each week. If you like other types of dances, we recommend checking 7 Best Pole Dance apps for Android & iOS. If you have decided to become a twerking star and beat Miley Cyrus in booty dancing, you need special training and especially you need to strengthen your lower body. Squats are the best exercises for that. 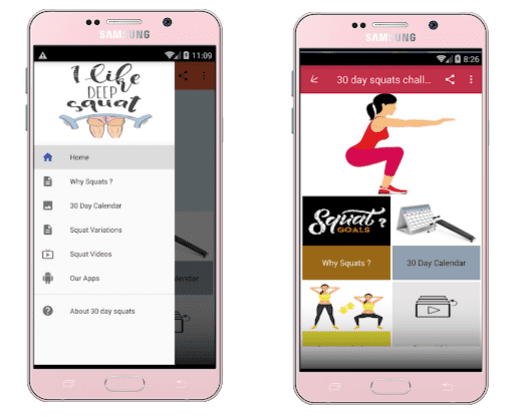 Here is an app which will help you to keep fit and do squats correctly, what is more, it will help you to make it a habit. We never forget that twerking is first of all sport which is good for our health, so you can take benefits from your hobby. This app is good for those who are looking for music for twerking. 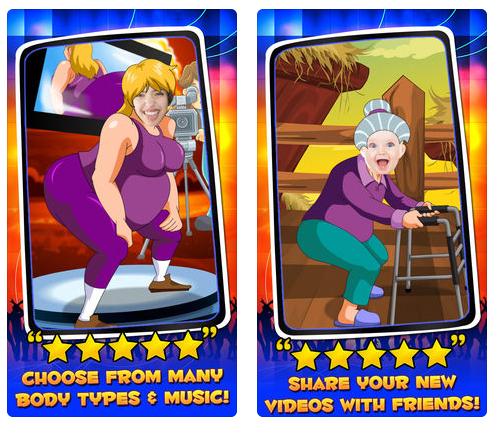 The app contains a large variety of rhythmic songs for booty dancing, what is more, it doesn’t require the internet connection. The app itself is poorly made, the interface and design are not the best, however, it has many twerking related tracks collected in one place which makes it one of a kind. And, last but not least, a game that is definitely going to blow your mind — Twerk It! It is complete madness and you need to know that it doesn’t make any sense. Your task is to run on the red carpet, collect coins (again) and avoid… crazy twerking fans. A lot of them. If you hit them, you start over. Everybody’s twerking in this game (except your character). So, we are sure that with these apps you will manage to get as much twerking as you need! You can’t have any problem which can’t be easier with a bit of twerking.